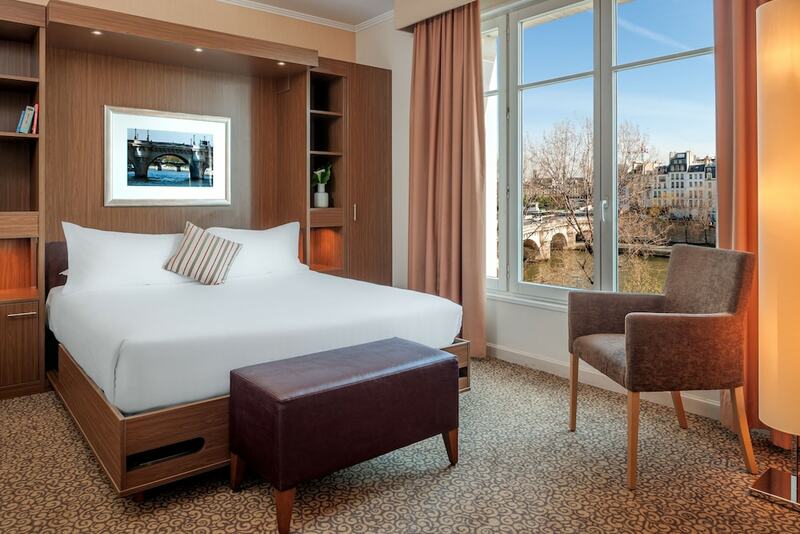 A stay at Citadines Apart'hotel Saint-Germain-des-Prés Paris places you in the heart of Paris, within a 10-minute walk of Les Halles and Notre Dame Cathedral. This 4-star residence is 0.6 mi (1 km) from Sorbonne University and 0.7 mi (1.1 km) from Palais Royal. Make yourself at home in one of the 204 air-conditioned rooms featuring kitchenettes with refrigerators and stovetops. Flat-screen televisions with satellite programming provide entertainment, while complimentary wireless Internet access keeps you connected. Conveniences include phones, as well as safes and desks.